If you would like to dine with some of Disney’s famous characters and enjoy some wonderful food, I have the place for you! 1900 Park Fare restaurant is located in Walt Disney World’s Grand Floridian Resort and Spa. 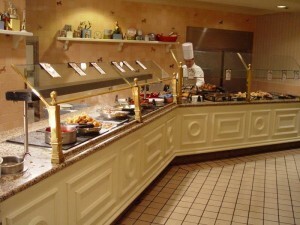 It offers breakfast and dinner Character buffets in an enchanting atmosphere. The restaurant is decorated in Victorian era fair, with carousel horses and pastel colors. 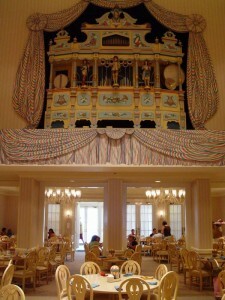 “Big Bertha,” a large concert organ built in France, is mounted towards the ceiling of the large dining room and plays music while you are dining. The Supercalifragilistic Breakfast is one of our favorite meals of every trip. 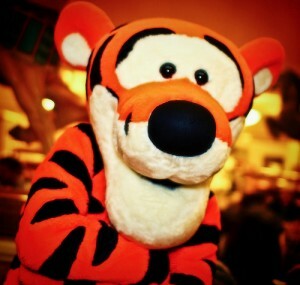 Your family will be joined by Mary Poppins, Alice in Wonderland, the Mad Hatter, Tigger, and Winnie the Pooh. Every character will come by your table at 1900 Park Fare to greet and welcome you. There is a huge variety of breakfast foods, including, but not limited to pastries, breads, yogurt, fruit, eggs, made to order omelets, bacon, sausage, ham, cheesy scrambled eggs, lobster eggs benedict, potatoes… and my personal favorites, Mickey waffles and the chilled strawberry soup. Make sure you are really hungry before you go to your breakfast at 1900 Park Fare because the options are plentiful and the food is delicious! 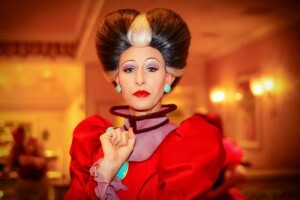 Cinderella’s Happily Ever After dinner is another great option for a Character meal. While savoring your delectable dinner, you will have some magical moments with Cinderella, Prince Charming, Lady Tremaine, and the evil stepsisters Anastasia and Drisella. 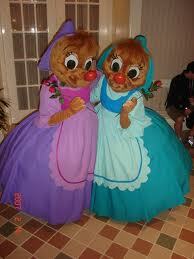 Don’t be surprised if you also see the Fairy Godmother or Suzy and Perla the mischievous mice. You will definitely want to have your camera ready. Your dinner at 1900 Park Fare will include, but again will not be limited to, salad, fruit, soup (chilled strawberry soup will be one of them- don’t miss it! ), mashed potatoes, salmon, broccoli, corn, macaroni and cheese, pasta, prime rib, chicken masala, tortellini, brownies/cookies, and ice cream. 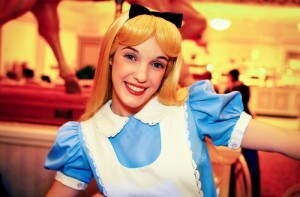 1900 Park Fare also hosts the Wonderland Tea Party in the afternoon for kids ages 4 to 12. Your children will be served a special tea (apple juice) to sip on while they enjoy games, stories and cupcakes. Not only will your children be able to pose for pictures with Alice and Mad Hatter, they will also decorate their own cupcakes and create some imaginative take-home crafts. 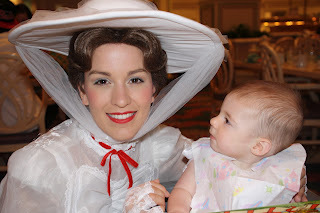 It is a quick monorail ride away from the Magic Kingdom to 1900 Park Fare, so I recommend making an Advanced Dining Reservation on a day you will be spending time at the Magic Kingdom. Yes, that is right…You need to make this reservation early! 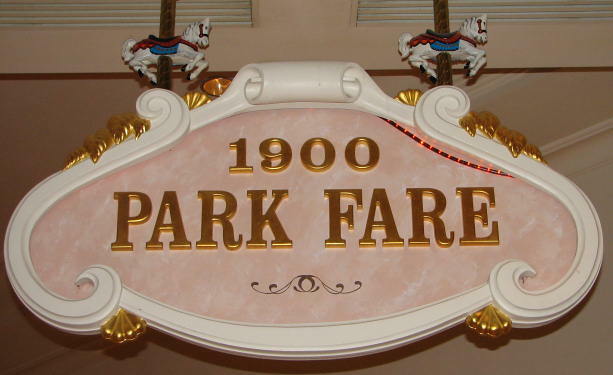 1900 Park Fare presents a whimsical dining experience with some classic Disney characters. The food is great, but the Character interaction is priceless. Contact me to learn more about Disney’s dining options and all my FREE Disney Vacation Planning services! I have tried many, if not most of the resorts on the Disney World property in Orlando and each one is uniquely special. Still, there is something wonderfully enchanting about my favorite place to stay, the Grand Floridian Resort and Spa. Maybe it’s the beautifully clean yet ornate architecture of this crimson roofed, Victorian resort which captivates guests. Or perhaps the magnificent five story lobby, adorned with two brilliant chandeliers, intricately detailed furniture, and the inviting sound of a pianist playing tunes (even taking requests) on the concert grand piano. 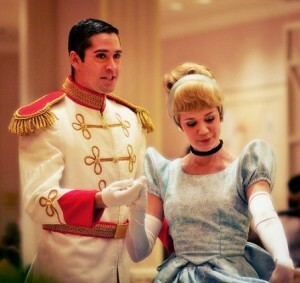 You will be immediately charmed by the elegance and grace, yet always Disney casualness of this resort.